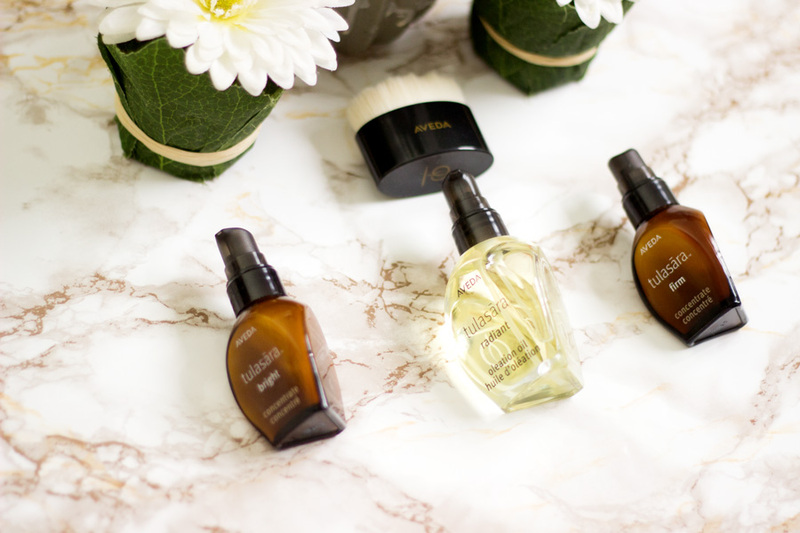 I recently spoke about the Aveda Tulasara Skincare Launch Event which I was lucky to attend back in August. I promised to share my thoughts on the actual products and here it is.I have used the entire range for almost two months so I feel it is more than enough time to share a full review.This is actually my first time trying out skincare from Aveda and I am very impressed with the entire range and the brand in itself. The Tulasara range is inspired by Ayuverda and I know almost everyone has heard about Ayuverda at one point or the other. According to Ayuverda, we are all composed of five elements: infinity, air, fire, water and earth and moving towards balance between these elements is key in achieving an optimum state of wellbeing. Stress, lack of sleep, fatigue (and might I just add living in London or any city in general?) takes a toll on the mind, body and skin and as such the desire to live a more balanced lifestyle has never been greater. That's where the new Aveda Tulasara range comes in. 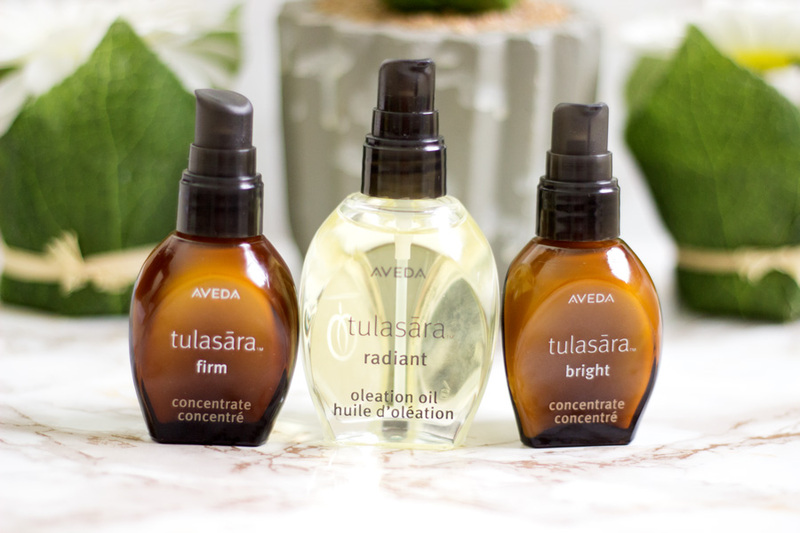 Tulasara means "moving towards balance" and it is an experiential skin care collection inspired by Ayuverda. 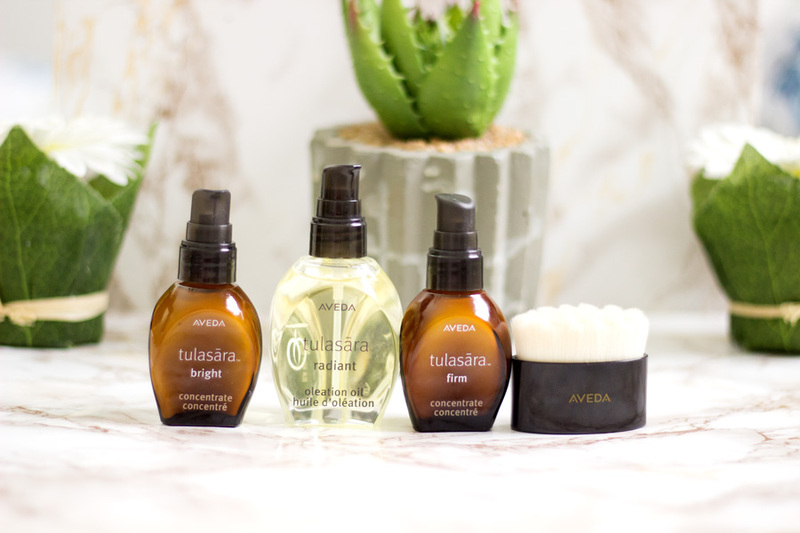 Aveda has introduced the Tulasara Radiance Awakening Ritual which is the best way to use the Tulasara range. 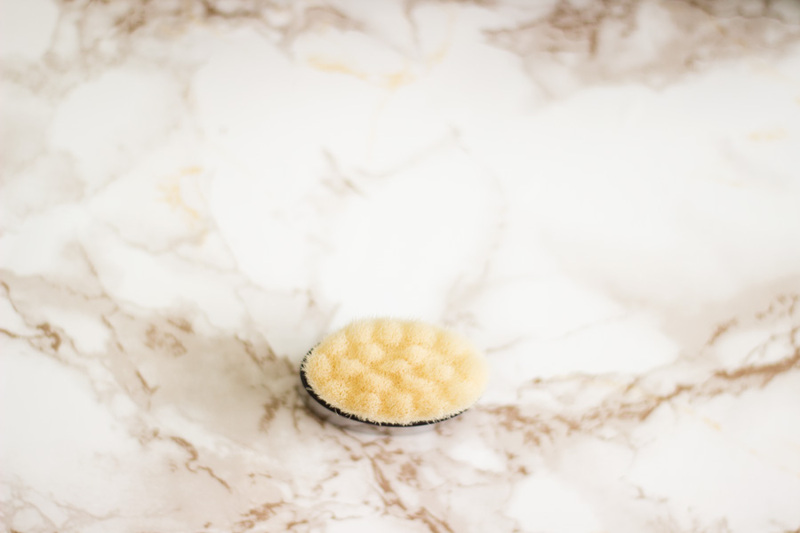 It incorporates Facial dry brushing which is traditionally known in Ayuverdic culture to promote skin renewal, exfoliation, toxin elimination and removes impurities to reveal radiant glowing skin. 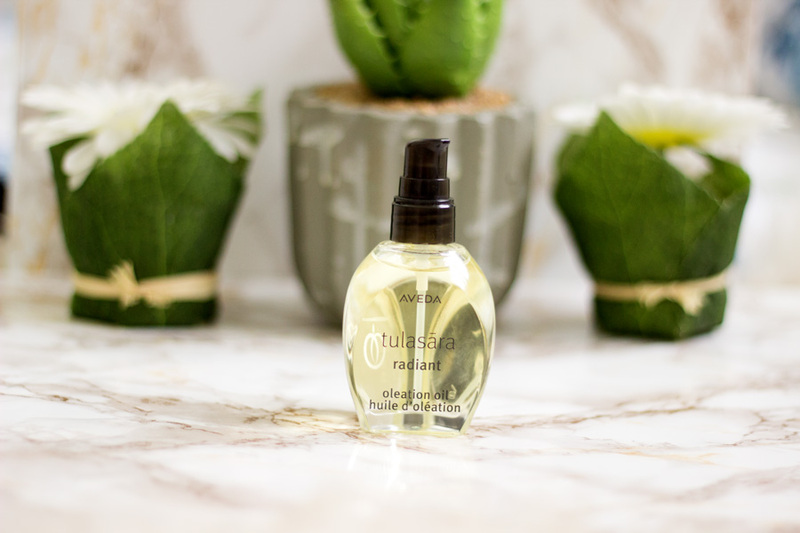 The Tulasara Radiance Awakening Ritual is a two-step ritual using the Tulasara range and it's such an absolute treat to my skin. 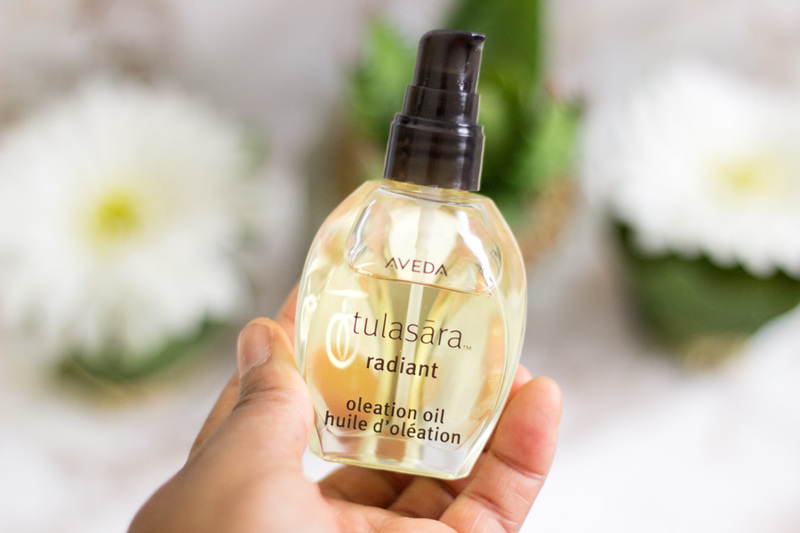 The products in the Tulasara range include the Tulasara Radiant Facial Dry Brush*, Tulasara Radiant Oleation Oil*and the Tulasara Concentrates*(Bright, Firm and Calm). One thing that always stands out for me when it comes to beauty products is packaging as well as the quality and efficacy of the products. When beautiful packaging is paired with great quality, it is the best of all beauty situations. I have just realised that I am very attracted to brown/amber bottles as it reminds me of when I was in pharmacy school. I also think products with amber/brown bottles lend some organic authenticity to the quality of products. 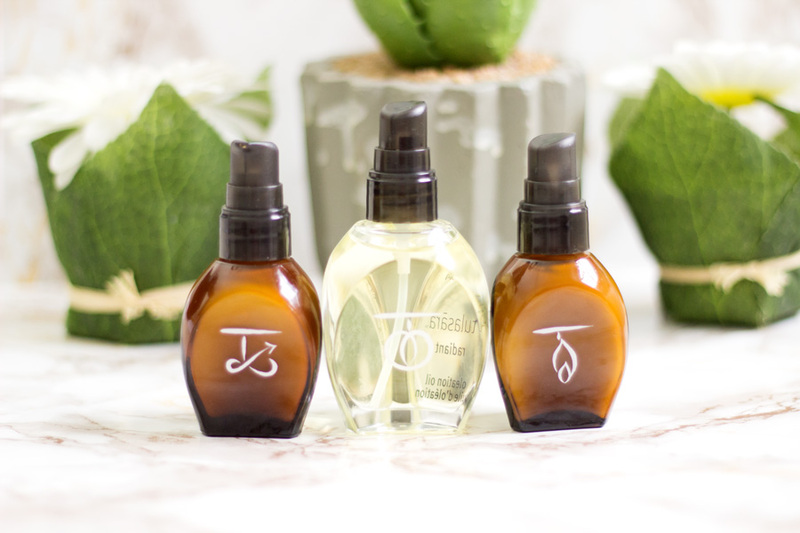 The Tulasara skincare bottles are very uniquely shaped; it's a three-sided shape just like a curvy triangle and I love it. 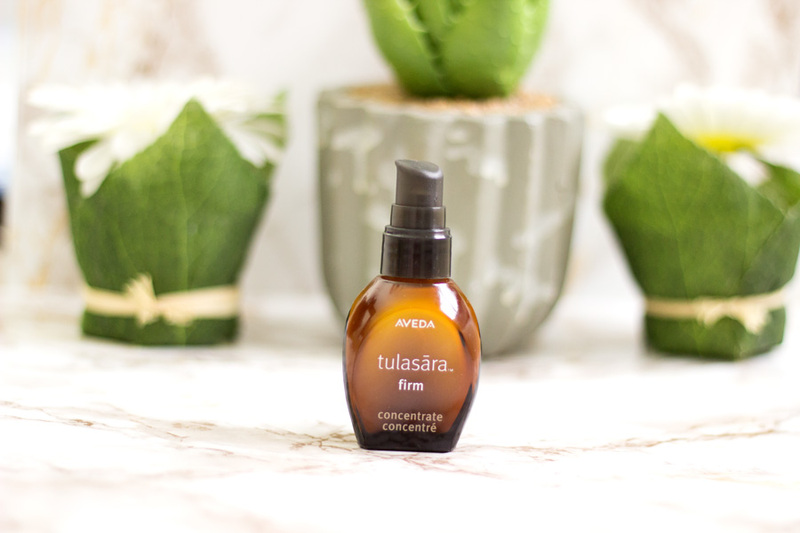 The shape is actually inspired by the three Doshas of Ayuverda- Vata, Pitta and Kapha and the bottom is the bottle is an A-shape for Aveda (pretty clever!!). Although they are glass bottles, they don't feel bulky at all. They all have pumps which helps prevent wastage and these pumps have a click lock ( very travel friendly too!!). The outer packaging is made from 100% post-consumer recycled fibre which is good for our environment.I am just in love with the simplicity of the packaging!! 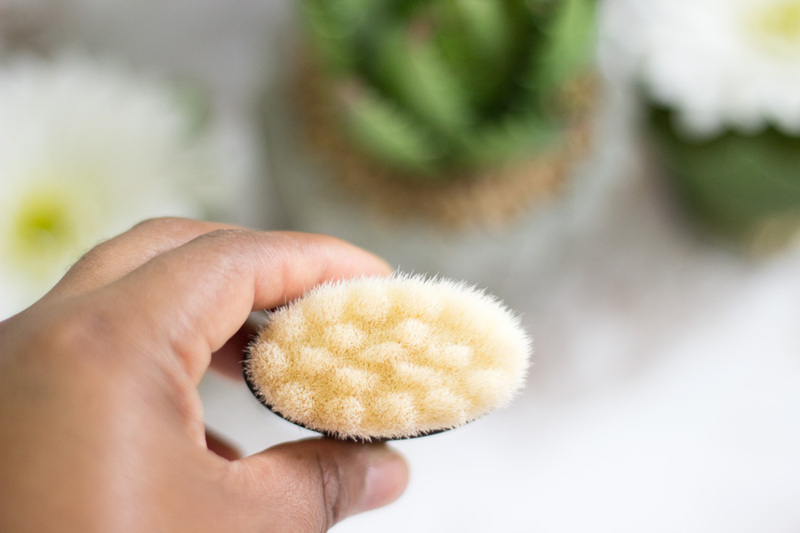 I have recently been seeing blog posts and articles about Dry Brushing both for the body and the face and I have always wanted to try it out. 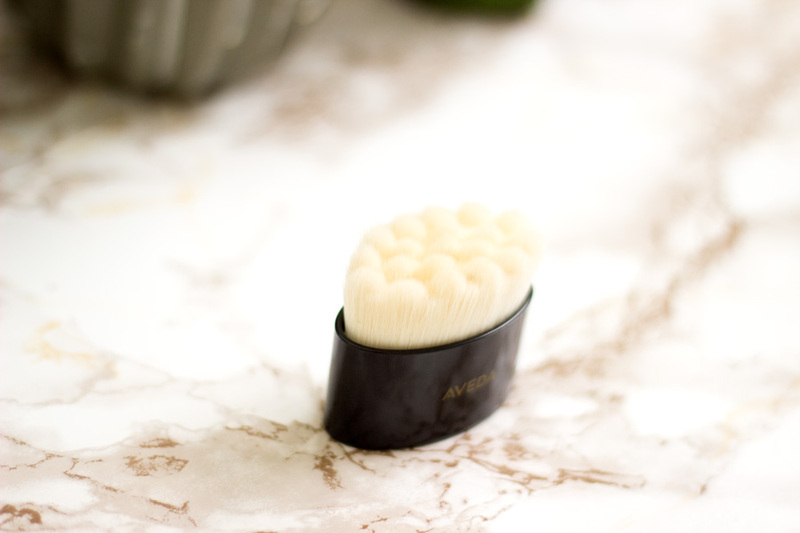 I am so pleased I really got to try my first Facial Dry Brushing experience with the Aveda Radiant Facial Dry Brush. It fits so well in my hands which I think is important for the Dry Brushing technique. It is also really good quality and you can tell just by the way it looks and feels. The bristles are shaped in an oval shape which is ideal for getting into all the nooks and crannies of the face. One thing I love about this brush is how soft the bristles are. Although they are very soft, they have very good control which I believe is essential for the dry brushing technique. 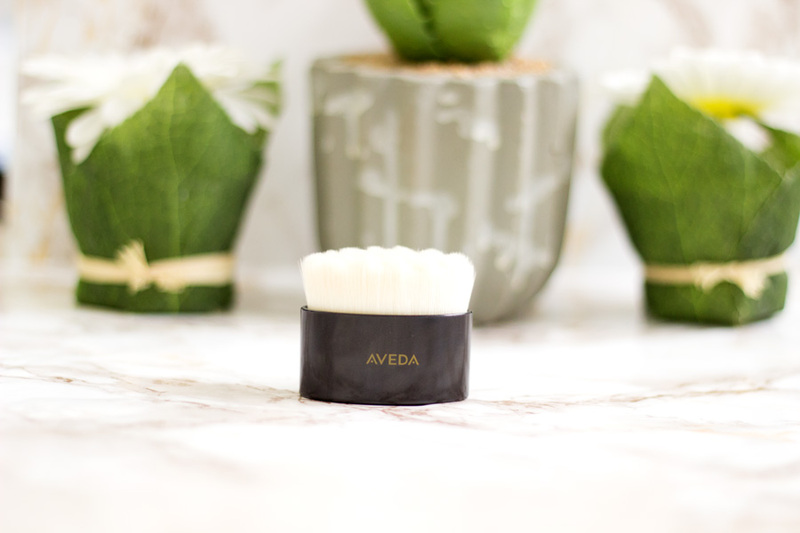 The bristles have soft rounded peaks and groves which are designed to gently lift and sweep away dull cells for instant exfoliation. I have to say it feels so incredible on the skin and even if you have sensitive skin, it really soothes it. Dry Facial Brushing is the first step of the Tulasara Radiant Awakening Ritual and I use it on cleansed dry face. I actually start at the centre of my decolletage and work with gentle circular anti-clockwise motions. Then, I move from the decolletage to my face still maintaining the anti-clockwise motions. I do one side of my face first and move to the other side and also go around my eye area (inner corners to outer corners) before sweeping back in a downward motion to my collarbone to encourage lymphatic drainage of toxins. It takes a short time but trust me, it feels so good and my skin always feels well soothed and healthy afterwards. I don't do this everyday but I really should. I just use it like 2-3 times a week especially after a stressful day. Even when I have breakouts, I find that it just calms my face down and my breakouts go away after a couple of days. 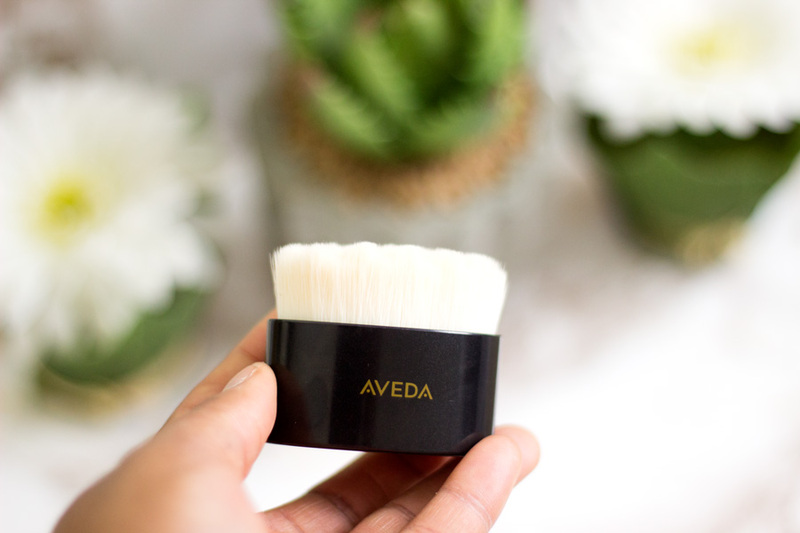 The brush may seem pricey but it has such great quality and does the job so well. I have also washed it and the bristles have remained the same (soft, intact and no shedding). 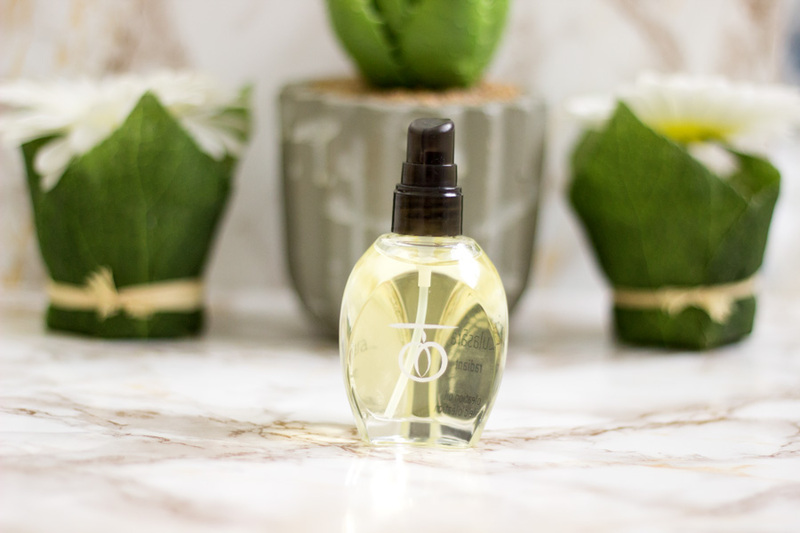 The Radiation Oleation Oil is a 100% naturally derived blend of six plant oils which include Certified Organic Sesame, Sunflower and Jojoba Seed Oils combined with Rosehip, Apricot Kernel and Sweet Almond Oils. 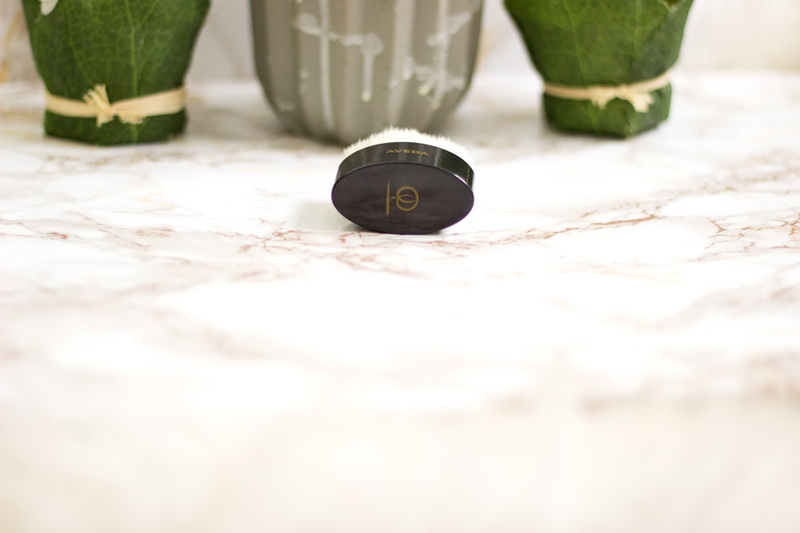 It is designed to be massaged into the skin straight after the facial dry brushing to help nourish and reveal the skin's natural glow. I just apply it as instructed after using the Dry Brush and it sinks in so well into my skin. First off, it smells so lovely which is not surprising as the oils in this cocktail blend are gorgeous. The texture is non-greasy which is my favourite kind of texture. 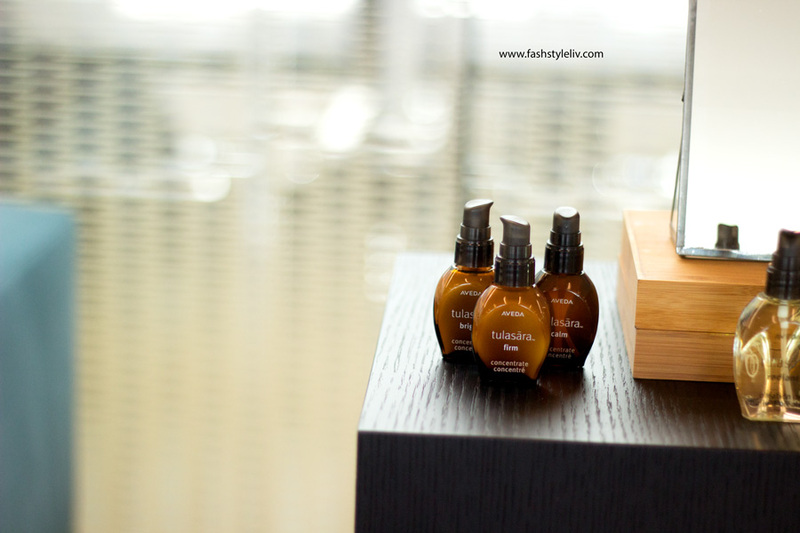 I feel all skin types will love this oil even combination oily skin girls who may dread oils. I apply this in similar circular motions after dry brushing and give my skin a good massage. You can instantly see a glow to the face as you massage and it's not just the usual oily greasy glow (it's a more natural looking glow). Aveda encourages us to leave it for at least four minutes but I am always extra so I leave it on for 10-15 minutes to get all the benefits. Once I am done, I cleanse it off my face either with a warm towel or cold water and a cleanser. The best thing about this oil is that my glow is still there even after cleansing/rinsing it off. For £38 it is quite an expensive oil but again it is a 100% naturally derived blend and Aveda always uses high quality ingredients. 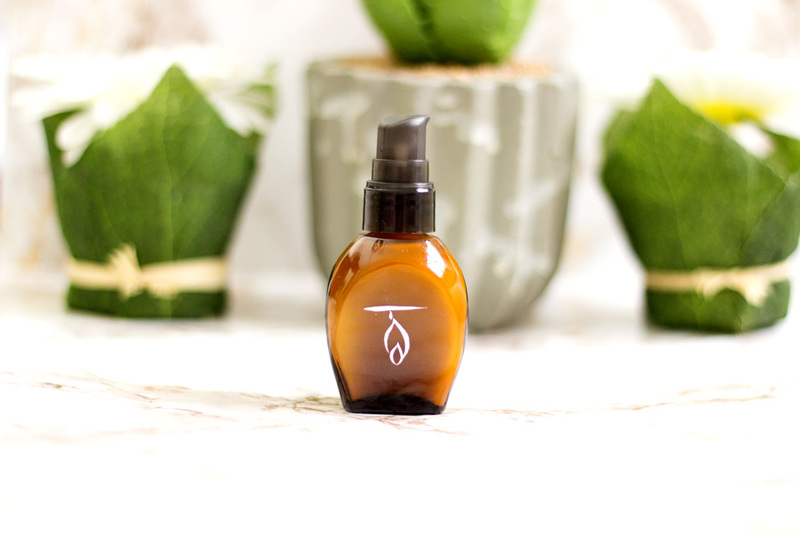 I use only one or two pumps of oil for my entire face and a little goes a long way. I don't envisage this oil finishing in a really long while so I do think you get value for your buck in the long term. I am really toying with the idea of using it as a regular oil on my face (i.e. without rinsing it off) and I need to find out if it can work that way (will update this post when I find out). I have used it on my hands and elbows now that the weather has changed and they looked so supple. 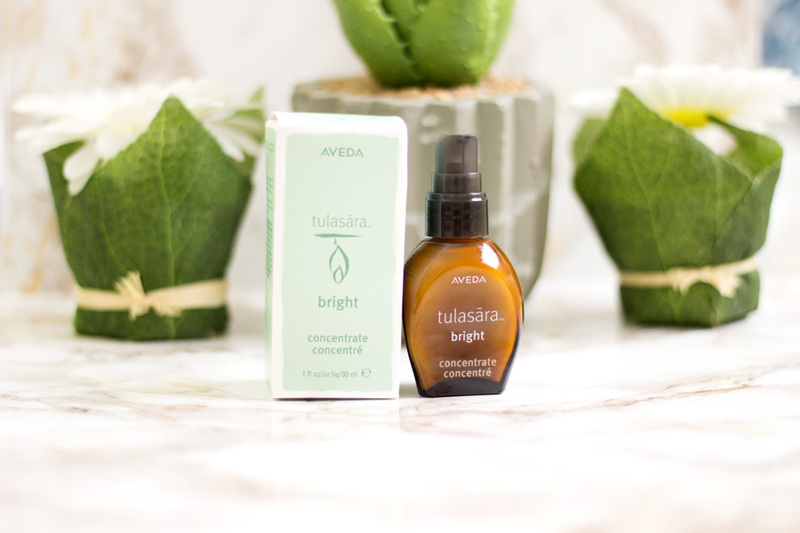 The Tulasara Concentrates are the last step in the Awakening Radiant Ritual and they are packed with amazing naturally derived ingredients (97% naturally derived). The Concentrates unite traditional Ayuverdic wisdom with advanced skincare science to achieve a balanced complexion. There are three concentrates in the range which are all targeted formulas including Bright, Calm and Firm. I believe their names are all self explanatory for what they do. 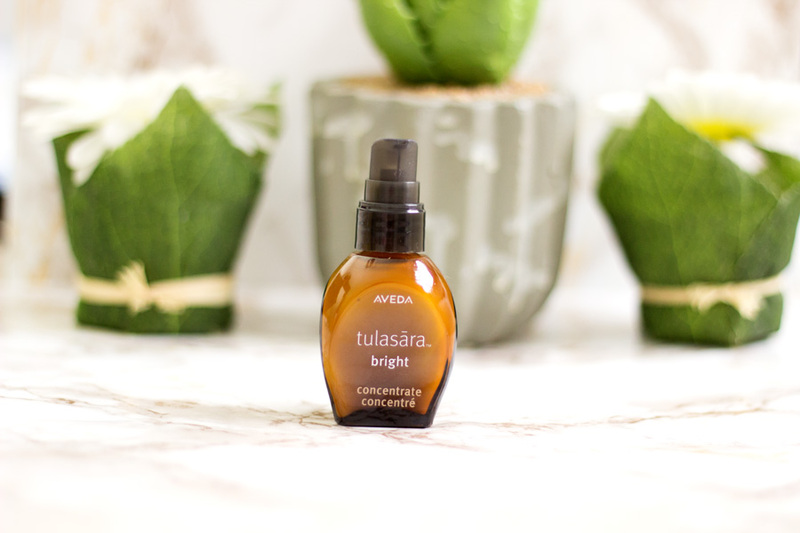 The Tulasara Concentrates are dermatologist-tested, non-acnegenic and they all contain certified organic ginger extract which is a traditional Ayverdic anti-oxidant to help protect the skin. They also help strengthen the skin's natural moisture barrier. I was incredibly lucky to be gifted two of the Concentrates- Bright and Firm. I have enjoyed using both of them but the Bright Concentrate is more suitable for my current skin challenges. 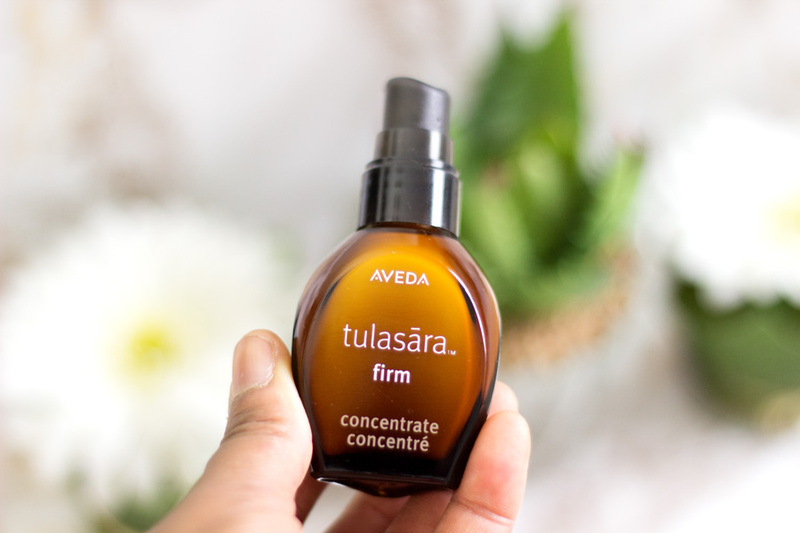 The Firm Concentrate is designed to lift and firm the look of the skin to help restore and revitalize the skin's radiant healthy appearance. It contains a potent bio-fermented peptide which helps confer a firmer and lifted appearance to the face. It is also enriched with a blend of Ayuverdic plant extracts including Sigesbeckia and Almond Seed Extract which helps instantly tighten the feel of the skin. The texture feels more like a light moisturiser and it applies smoothly to the skin. I definitely noticed my skin felt slightly tighter when I used it which I was surprised about because I never notice that with other skincare products with similar claims. I feel more matured women will love this concentrate a whole lot. It also gives a slight glow to the face which is really good especially for dull looking skin. I use this during the day and at night whether or not I do the entire Radiant Awakening Ritual. 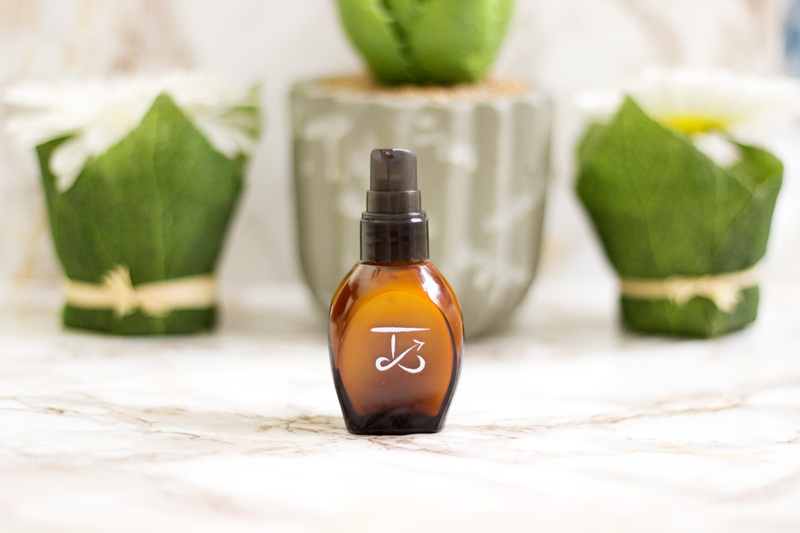 I use it just like a serum seeing that it is a concentrate so it is the first product I apply to my face after my cleansing routine. It gets absorbed well but I still feel the tightness on my skin so it does not totally disappear. I use it every now and again but not as consistently as the Bright Concentrate. My skin is still naturally firm looking and I don't have any wrinkles so it's hard to comment about this concentrates's long term firming properties. However, I have definitely noticed its instant tightening/firming effect. When the Bright Concentrate arrived in the post, I was very excited. As you may all know, one of my biggest bug bears for my skin is hyper pigmentation from previous blemishes/acne. Many of them are fading away now but some are still there and I am working hard to get rid of all of them (so help me God!!). 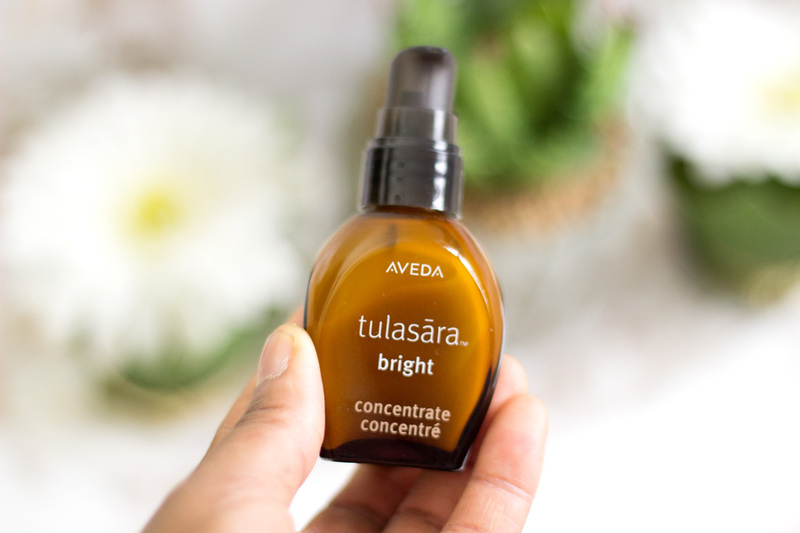 The Bright Concentrate is designed to help restore the skin's radiance and reduce the appearance of dark spots, discolourations and uneven skin tone. The three main ingredients in this Concentrate include Licorice Root Extract (a traditional Ayverdic ingredient to help reduce discolouration and uneven skin tone), Molasses Exract (helps reduce the appearance of dark spots) and Glucosamine (which promotes cell turnover and removes dull surface cells to increase skin radiance). It has a more watery texture compared to the Firm Concentrate and feels more like a serum. I just use one full pump for my entire face and it sinks in pretty fast. It also instantly gives my face a really healthy look. I definitely used it more consistently than the Firm Concentrate. I use it as a serum straight after my skincare routine both during the day and at night. Initially, I did not notice any difference to my hyper pigmentation but I just kept using it. 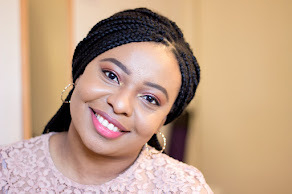 A few weeks later, I started noticing my hyper pigmentation (even the really naughty dark ones) were gradually fading and blending into my natural skin colour. It honestly just hit me one day that I don't need so much concealer or foundation on my cheeks!. As with many naturally derived products, they may not work as fast as you may expect but when they eventually do, the results are very impressive. More importantly, you know you are using ingredients that are good for the skin. I still use it and I will be applying it after I type up this post because it is a now a staple in my routine. This Concentrate will be going to the repurchase list because I am impressed with the results. A little goes a long way (I only use one pump) but I noticed that the watery texture means it is more likely to run out quicker than the Firm Concentrate which has a less watery texture. Still, I think it could last for a good 3 months or more (with daily and nightly uses). It is £45 which is a lot of money but I will report back on how long it actually lasts for and if it is truly 3 months, then it is good value for money. However, I have to say the quality of the product and overall efficacy is very impressive for the price. I am really intrigued with the entire range as it is unique yet simplified and efficacious. I already mentioned that I don't do the Radiant Awakening Ritual everyday but each time I do, my skin feels so good and I make a mental note to myself to always do it. I have honestly enjoyed all the products and I still use them alongside my other skincare products. 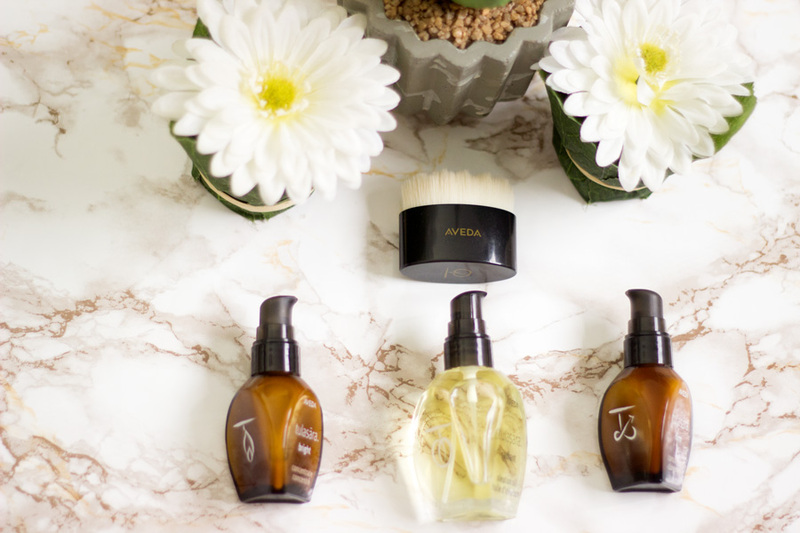 If you are all about natural beauty products or you are very aware of what you put on your skin (I believe most people are anyway), you'd totally love the Tulasara Range inspired by Ayuverda. You can check the range out online and in Aveda counters in Department stores like John Lewis, Debenhams, House of Fraser, etc. I hope you enjoyed this post. 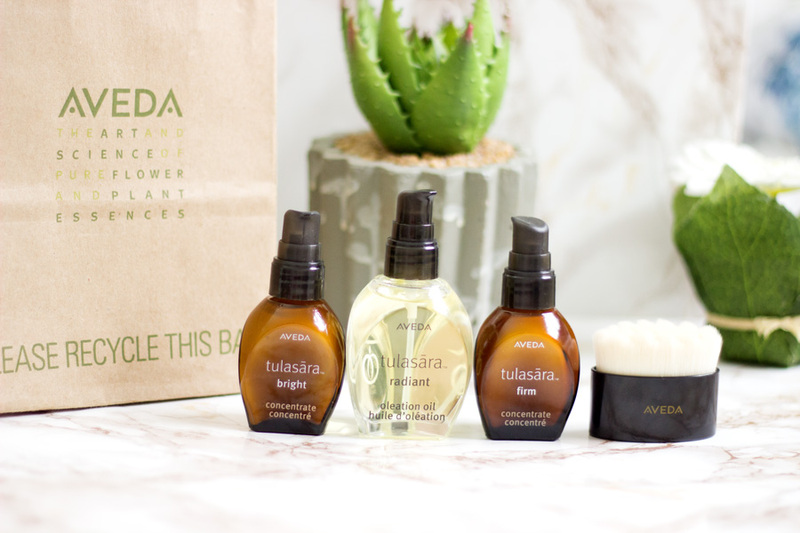 Have you tried the Aveda Tulasara Range?